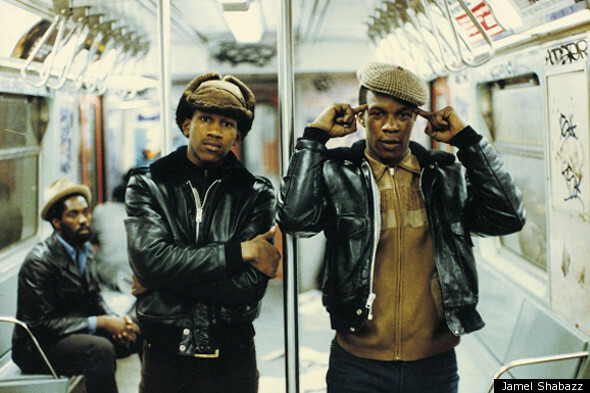 Before there was Scott Schuman or Tommy Ton, there was Jamel Shabazz, a pioneer of street style photography who documented New York City in the 1980s. Back in the Days, a collection of Shabazz's photographs, will be re-released to celebrate its 10th anniversary. The new fabric covered volume is a comprehensive archive of New York style- take a look at the vintage graffiti on the subways or the price tag on a pair of Adidas sneakers ($29.99!) and you'll see how much has changed in the past thirty years. In the eighties, Shabazz traveled across the city from Flatbush (known at the time as "The Bush") to Harlem ("The World") taking photos of his friends, their friends and anyone who he thought looked cool, confident and reflected youth culture. "Fact is, we saw him all over New York City," Carlton Usher, one of Shabazz's subjects, explains in the 10th anniversary edition of the book, "He was our Facebook page." Although these photos might not be "tagged" and "liking" them meant something different, Shabazz's work is frighteningly relevant: the high waisted jeans, plaid shirts and leather jackets are very 2011. Take a peek the photo gallery above for a blast from the past. Back in the Days: Remix is available on June 21 from publisher PowerHouse books.